Instead of disruption by travel, however, he settled in a campground in the tiny town of Puerto Real in southern Spain and found disruption by learning Spanish, befriending the townspeople, performing on the piano at local clubs with a group called the Starfis (which is starfish without the h as he later discovers), falling in love, and drinking frequently and to excess. Puerto Real sits in Andalucía where sherry was invented. Six percent more alcoholic than other wines and thus “large in the testicles” (“es cojonudo”), sherry is the drink of choice for the locals and, soon enough, for the author as well as he enters the quotidian textures and bondings of Puerto Real. Like Don Quixote with his horse Rocinante and his servant Sancho Panza, Berger has two trusty companions. One is his Lung, a tiny Citroen car. The other is Og, his German Shepard. His regional peregrinations are filled with adventures such as trying his hand as a dealer in fish, entrusting the Lung and Og to an American deserter while he goes to Tangiers to pick up his mail, and taking a friend to a curandero (healer) to cure a bulbous facial growth impervious to western medicine. At one point Og’s daily excursions last longer and longer. Berger’s curiosity is soon resolved by the discovery that Og has fathered a litter with another German Shepard who lives on a ranch close by. This nugget soon reveals a rich vein, for the pregnant Shepard’s owners prove to be two women whom Berger befriends and soon learns are “supplementing their income from hens’ eggs and goats’ milk” by prostitution. This leads to discovering that one client, a respected local businessman, is the father of the fiancée of a member of Starfis—and scandal will erupt if his visits are known. This is the mother who “taught me to read before I reached first grade.” Berger’s passion for literature, even Spanish literature, has vanished and he has stopped reading or taking the private hours necessary to write. He realizes that his lover, Ramon, values only community and feels threatened by Berger’s inner life and love of the creative. Three years have gone by. Berger returns to the United States with the intention of going back to Spain. But that trip will wait nearly two decades. When Berger returns in the 1980s, he finds dramatic changes. The dictatorship of Generalissimo Franco is gone, but so is much of what he valued. The old Puerto Real has given way to four and five story apartment buildings. The clubs have turned into discotheques and musicians lack venues for work. The monopoly of the Catholic Church has been broken, but the gurus and evangelical Christians are a questionable improvement. Marijuana used by tourists has given way to heroin used by Spanish youths. Crime is rampant and Berger’s belongings are stolen through the smashed back window of his rental car. As plants with giant assembly lines replace smaller and more human scaled factories, Berger observes: “Poverty and unemployment started looking like the healthier alternative—along with the lottery.” And as a final insult the residents of Puerto Real no longer drink sherry. Of course missing the old doesn’t invalidate what is good with the new. Nor does Berger abandon Spain, rather he visits from time to time and writes of what he finds. 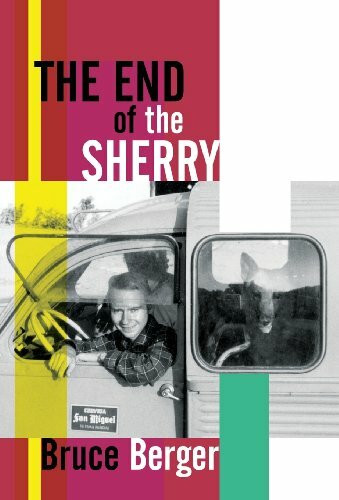 But the magical years of 1965–1967 and of his own youth have passed beyond recapture—except in this kinetic memoir aptly titled The End of the Sherry. New York City, is the author of many books including The Secret Life of Money and the novel A Floating Life.